Honors Academy Launches in August! High-performing and motivated students now have additional options to excel in academics, service, and college preparedness. Lutheran High School East (Cleveland Heights) announces the addition of an Honors Academy program to its curriculum. The goal of the Lutheran East Honors Academy is to provide high-achieving, driven students with opportunities that will bolster their college applications, help them develop into well-rounded young adults, and allow them to better compete nationally to get into elite-level colleges and universities. The Honors Academy will offer students a variety of opportunities to excel in and outside of the classroom, experience various cultural and community outreach activities, and actively participate in national and international volunteer work and mission trips annually. Students are eligible to apply to the Honors Academy upon acceptance to Lutheran East, at the end of each semester of their freshman year, or at the end of the first semester of their sophomore year. 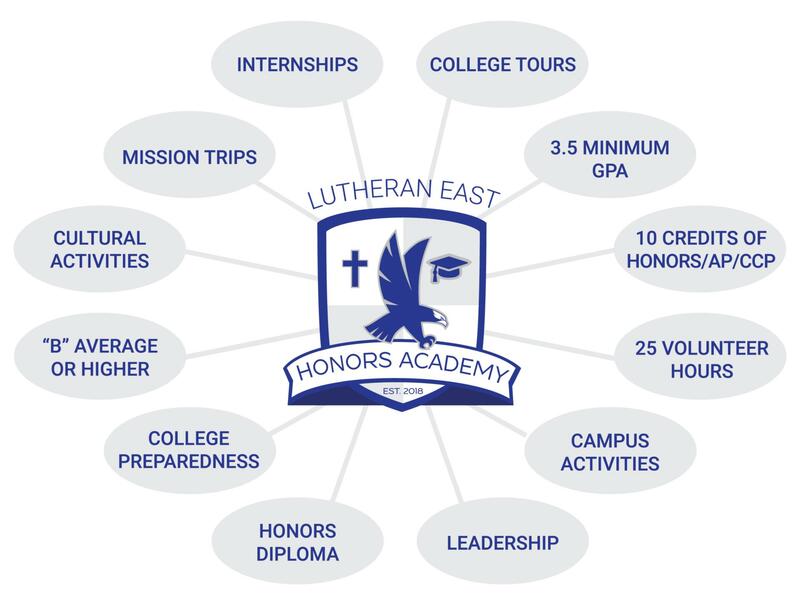 The application process and requirements, along with requirements to graduate with a special Honors Academy diploma, are found at www.lutheraneast.org/HonorsAcademy.aspx . 2018-2019 will be the first year of the Honors Academy.